Have you ever tried to talk with your child about saving their money or working hard to earn their money? And…did they tune you out or roll their eyeballs back into their head? 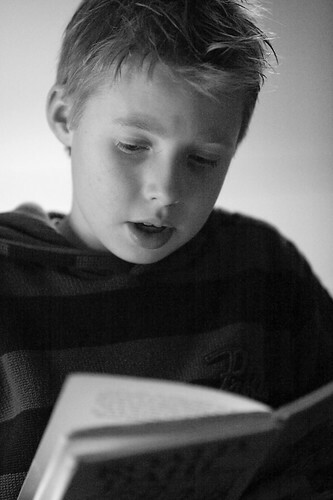 Instead of launching into a lecture about important financial concepts, try introducing the topics through a book that you and your child have both read. There are many great literature classics that have money and business concepts embedded within the story. You and your child or teen can begin with the shared experience of the story and you can lead the conversation into a financial discussion based upon the character or the situation. Here are a few of my favorite books that you can use as conversation starters to talk about money, jobs and entrepreneurship. 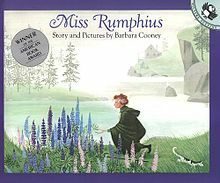 Miss Rumphius was given the challenge when she was a child to make the world a more beautiful place. This lovely book illustrates the impact that simple things can have on the world and kids can learn that you don’t need large amounts of money to make a difference. Alexander’s grandparents gave him a dollar on Sunday. This story follows Alexander and his dollar through the week and beautifully illustrates his struggles to make good decisions with his money. A close up look at all the jobs in Busy Town. Great for preschoolers! How much should we willing give to help another person? 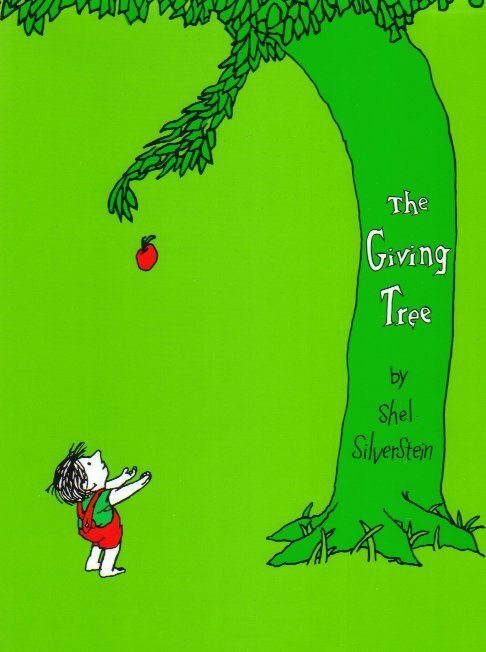 Shel Silverstein’s classic story of a tree and her boy shows the true meaning of giving. Anastasia is a 12 year old girl who decides to get her first job, as a companion to a wealthy, elderly woman. She makes a mistake on her first day at work and must continue to work to pay off her debt to her employer. Henry is a 10 ½ year old boy who desperately want his own paper route. Henry sets out to prove that he is capable of handling a route by introducing himself to the route manager, creating an advertising campaign and helping out whenever possible. Money is not the only reason he wants the job. He also wants to do something “important” and wants to prove himself capable. This story illustrates self-pride, motivation, creativity and entrepreneurship. Ramona is a precocious 2nd grade girl who is having a rough year. Her father has lost his job and her mother has gone back to work full-time. The family is showing the strain of a reduced income and change in family lifestyle. Ramona wants to help by doing a TV commercial and getting paid a million dollars! It is a timeless tale of a family pulling together in hard times but it is wrapped in humor and love. 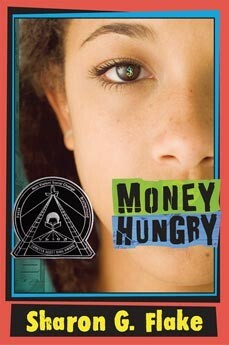 Lunch Money is about a middle school boy, Greg Kenton, who has always been obsessed with making money. Greg started with a lemonade stand and progressed to buying candy and toys in bulk to sell at school. The story takes a close look at commercialism in public schools and the existing attitudes toward entrepreneurship. Raspberry Hill is a 13 year old girl who lives in the projects with her mother. Her memories of being homeless and eating handouts drive her to think about money constantly. She is in survival mode and will do anything legally possible to prevent living on the streets again. LaVaughn is a 14 year old, inner city girl who needs a job to save money for college. She answers an ad for a babysitter and begins working for Jolly, a 17 year old, single mother of two who is just trying to survive. This book is a bittersweet story of how two teen girls help each other and learn to “make lemonade”. In this classic tale, Charlie, a poor young boy, gets a golden ticket to enter the Wonka Candy factory and a chance to win a lifetime of wealth for his family. He is faced with unethical choices and “get rich quick” schemes. Mary Lennox is a spoiled little girl who unfortunately becomes orphaned and as a result, goes to live with her reclusive uncle in England. 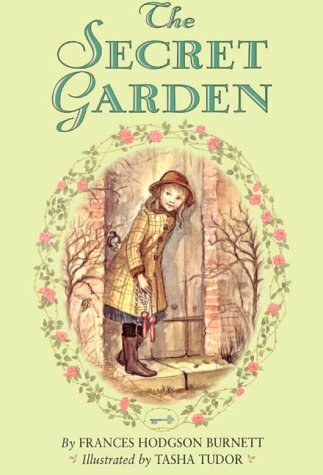 Through a secret garden and unlikely friendships, Mary learns that money doesn’t buy happiness and she is able to reconnect the family relationships. What books have you found that have money concepts embedded in the story? Have you shared them with your child or teen? The Wonderful World of Children's Books — Carrie @ LoveNotesMama shares her enthusiasm and adoration for the joys and gifts that children's books bring. Books, Have They Become Obsolete? — Laura at Authentic Parenting investigates wether there's still room for books in this modern world of internet and digital readers. Books and Unschooling a Preschooler — Lauren at Hobo Mama follows her four-year-old's lead through mummies, digestion, and whale sharks. Loved this topic, very original! Thanks for sharing such an extensive list! Thank you for collecting resources for sharing the value of money with a child. There are several new titles in there I look forward to checking out! I love the idea of using books as a gateway for discussions on other topics, especially one that can be a bit sticky, like money! Exploring why the character made his/her decisions can help a child when they have their own decisions to make, and it's done in an authentic rather than preachy way. Thanks for all the great book suggestions- I will be saving this list! It's all about making meaningful connections! Thanks for stopping by, Carrie. This is a great list and such a positive way to spark a conversation between parents and children. Caps for Sale is a book we have used to talk about money and work, not to mention the wonderful message about modeling and demonstration instead of yelling and demanding! Oooohhh...I had forgotten about Caps for Sale! I love that book and will add it to any future lists. Thanks! I like the recommendations you gave! Many I haven't read, but they sound they good. One book that immediately came to mind was the children's book A Chair for My Mother by Vera B. Williams. 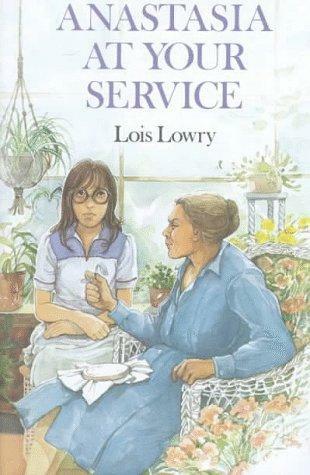 I haven't read it in years, but I still remember the little girl saving the money up to buy that chair for her mother. It was actually eye opening for me as a young girl who always had what I needed. It is a motivating message of working hard and saving. For older teenagers, my dad gave me the book Rich Dad Poor Dad to read. I didn't read it all, but I got a few things from it, especially since my dad talked about some of it with me as well. In college, I also read (a selection of) Poor Richard's Almanac by Benjamin Franklin. A few things from his writing stuck with me for a long time... especially about the "waiting" for finer things in life.